A room that mirrors your wisdom. 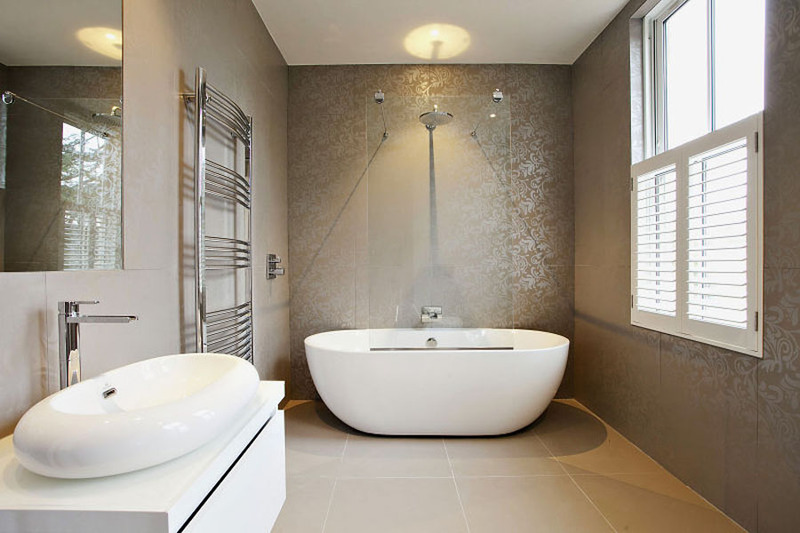 Different bathroom tile ideas allow us to produce a quasi-infinite series of places and spaces. Walking through a path of combinations, colours and shapes, bathrooms have slowly become rooms where people feel comfortable. Porcelain and marbles, wood and ceramics, there is no limit to the materials that can be used nowadays in a bathroom. Colours are free to meet in the most incredible patterns: warm or cold, classy or joyful… what really matters is simply the personality they represent. And what about drawings and shapes? On one hand, many designers choose to find inspiration in urban fashion and casual forms, although vintage and minimalist styles are still very appreciated. On the other hand, it is now possible to step into bathrooms filled with mosaics and pictures, sculptures and paintings. Between the most minimalist and the most eccentric bathrooms there is a list of unique places, produced by beautiful bathroom tile ideas. It is quite impossible to describe the importance of having a room of this kind, a place for ourselves, a home within our homes, where relaxations is not only welcomed but it is also promoted. A scene behind the scenes, our own bathroom.